Learning, Games & Snacks! “How do we plant a million trees? (without getting blisters)” Bring your flashlight for another ‘night hike’ game! Your forest needs you! Join Green Seattle Partnership Saturday, November 8th. 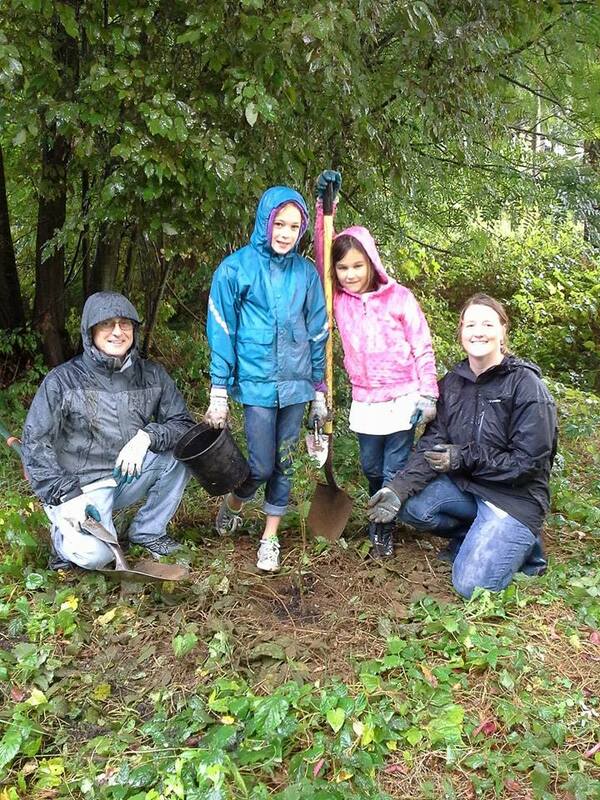 Kick off planting season and celebrate Seattle’s urban forest with volunteers in 21 Seattle Parks. Roll up your sleeves and make a lasting impact. First-time and long-time volunteers restore the forest in city parks. Our biggest party of the year! All ages. We bring gloves, tools, and plants, you bring the helping hands! Coffee & snacks provided at all sites. Register Now so that we can have enough for everyone. Please dress for the weather, and wear sturdy shoes that can get wet and a little dirty. More info www.greenseattle.org. Please call (206) 905-6943 with any questions. Meet at Rainier Beach Community Center Hosted by Seattle Parks, Forterra, EarthCorps, Seattle Tilth, WNPS, and Forest Stewards! Ambassadors, to share your favorite poem/inspiration (90 seconds or less) on Saturday, please contact me now to coordinate with your park.